She'll want to dance and twirl in this pink & gray polkadot, full circle skirt cupcake outfit! 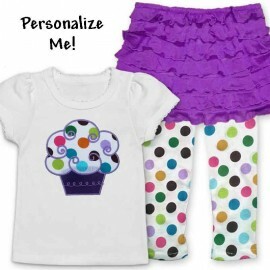 It makes the perfect birthday outfit or wear it for every day cuteness. 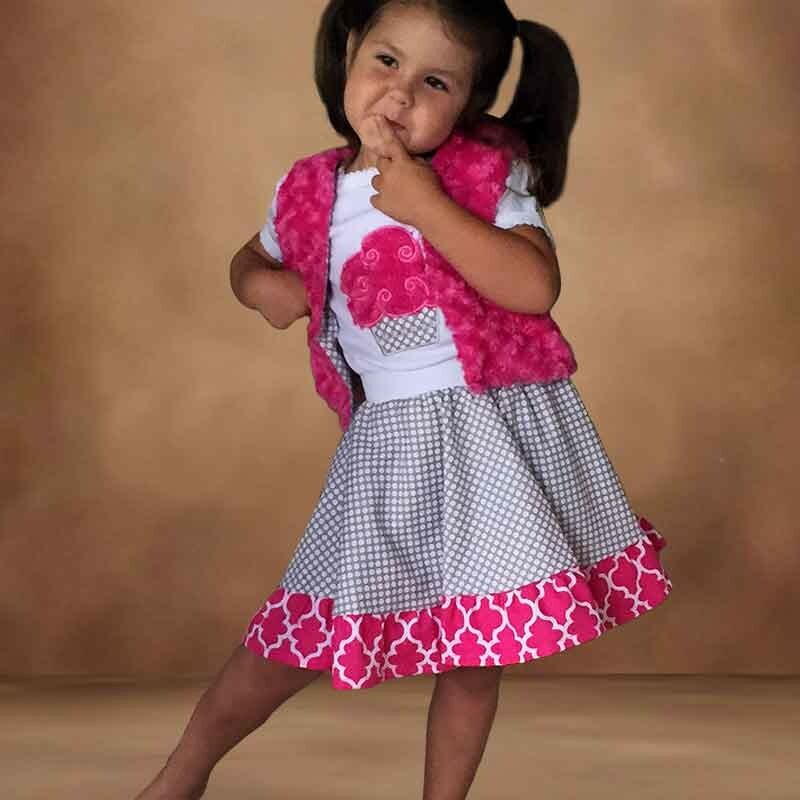 Choose from the skirt and top only, or add the reversible vest for a complete outfit. Order 2 ways: Purchase the top and skirt only or purchase all 3 pieces for the complete look. 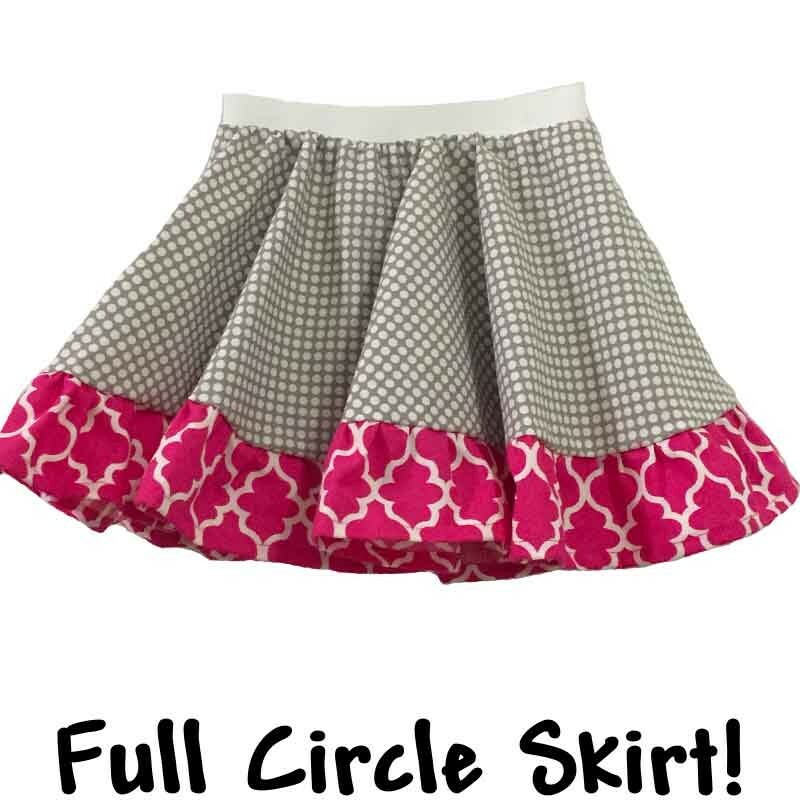 Skirt: The skirt is a full circle skirt with an anti-roll comfort waistband. 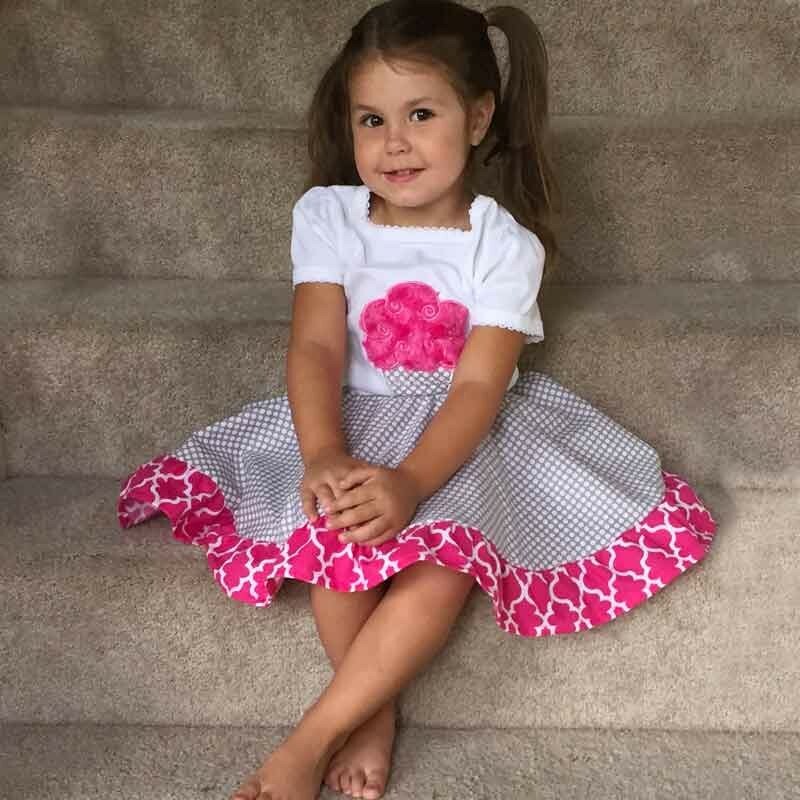 Bottom pink ruffle added for extra cuteness. Add a tutu underneath for a full look. 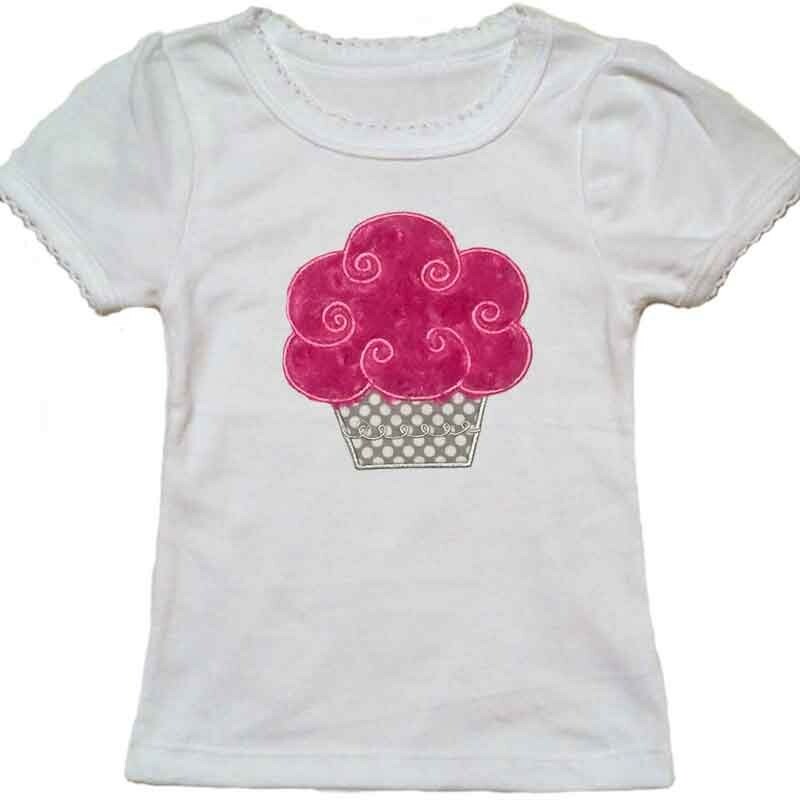 Top: The top features a very fluffy cupcake that has a 3D look. Delicate scallop trim on the neckline and sleeve edge. 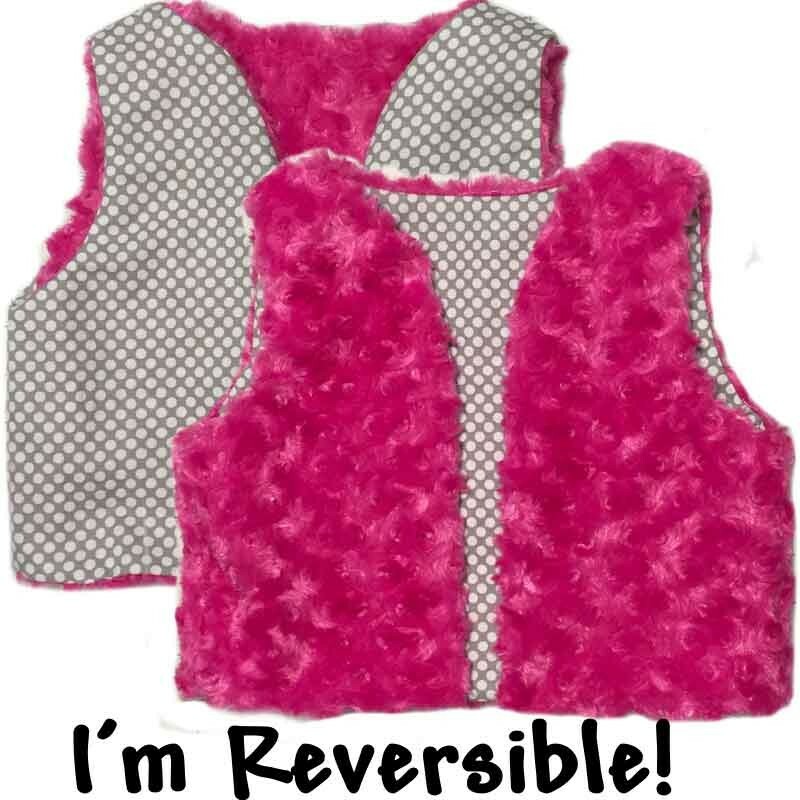 Reversible vest: The vest is made from ultra soft minky fabric on one side, and matching gray polka dot fabric on the other. 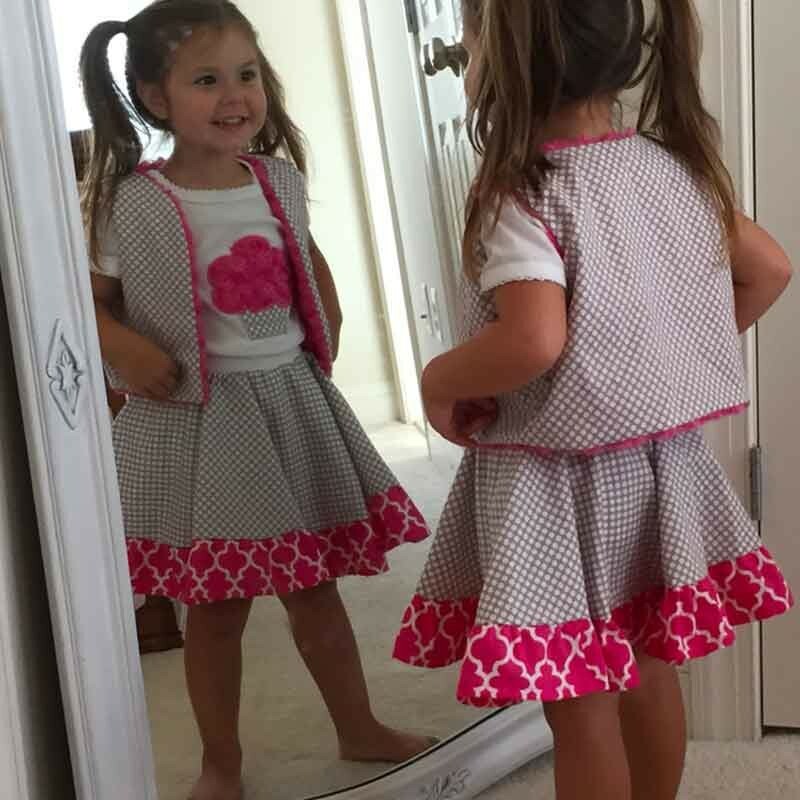 It's so soft, she'll want to wear it with every outfit!